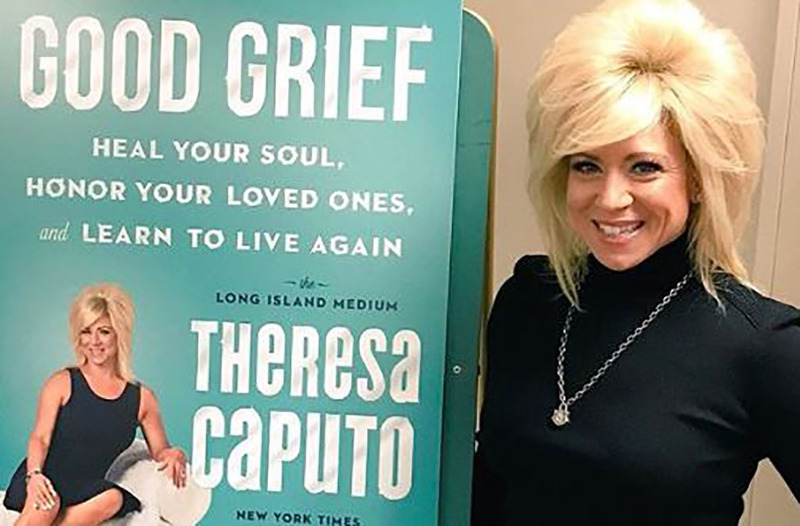 The Divorce Is Pending, So What Exactly Happened With Theresa Caputo's Marriage? The Divorce Is Pending, So What Exactly Happened With Theresa Caputo’s Marriage? Theresa Caputo is a self-proclaimed medium and the star of the show Long Island Medium. However, after 28 years of marriage to her husband Larry, she announced that the couple was divorcing. Theresa and Larry had initially split up in December 2017, with Theresa stating, “After 28 years of marriage, we have decided to legally separate. We will always love each other and our two wonderful children.” Her husband Larry echoed, “There is no animosity. We still have a concern for each other. We’re still going to be in each other’s lives.” The couple was together for a total of 32 years, so what happened? 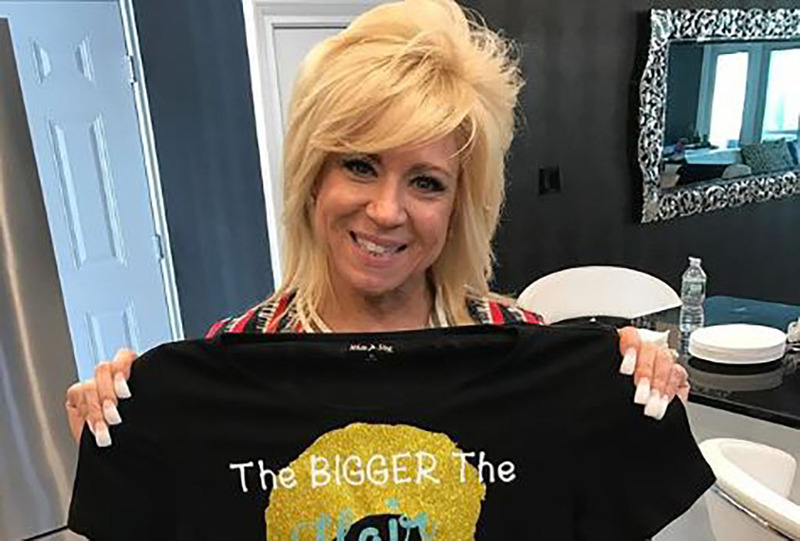 According to Larry, the success of Long Island Medium was one of the downfalls of the couple’s relationship. He told Radar Online that the two were not prepared for what was to come when Theresa starred in her reality show on TLC. He said that is was “exciting and fun in the beginning, but then after the longevity, you become more exposed, [and] it affects your private life.” He also noted that the show is actually a reality show, which is much more stressful on a marriage than if it was scripted. Larry claims that nothing can train you how to handle that much fame. The majority of people who once lived ordinary lives would not be able to handle it. Before deciding to split up for good, apparently, Larry was doing everything in his power to salvage the couple’s relationship. Jack Caputo, Larry’s father, said that he thought Larry was “probably more upset” than Theresa about the divorce. His father even found out about the divorce watching an episode of Long Island Medium. After the couple announced their divorce, it appeared that Theresa wasn’t very distraught about her and Larry’s split. One of Theresa’s neighbors saw her not long after she announced her divorce and said she seemed to be doing alright. Maybe Larry really was more affected by their divorce. For the couple, another downfall was the distance between the two. They actually lived on opposite sides of the country, which did not make the heart grow fonder in their case. In April 2018, Theresa explained that Larry was living in Los Angeles while she was living in New York. Larry also said that during their marriage, Theresa’s schedule was so busy that the two barely even saw each other. He explained that “What Theresa does is very demanding, and it was consuming most of her time, which takes away from personal time.” However, Larry’s father didn’t understand what was causing the strain. He argues that “They can be away from each other, and then on the days they’re not away, they can be together. What’s the problem?” Looks like it was too much for the couple to handle. It wasn’t long before the two began to grow apart emotionally as well. Everything from the distance to her schedule added up and began chipping away at their relationship. On her show, Theresa admitted “We’ve been there for each other, you know, through thick and thin, you know, good times, and right now are not such great times. I don’t understand it […] sometimes interpret it as growing apart. I’ve changed and he has changed. We’re both not happy and, you know, it’s hard to try to work through that.” It was only a matter of time before their relationship would come to an end. 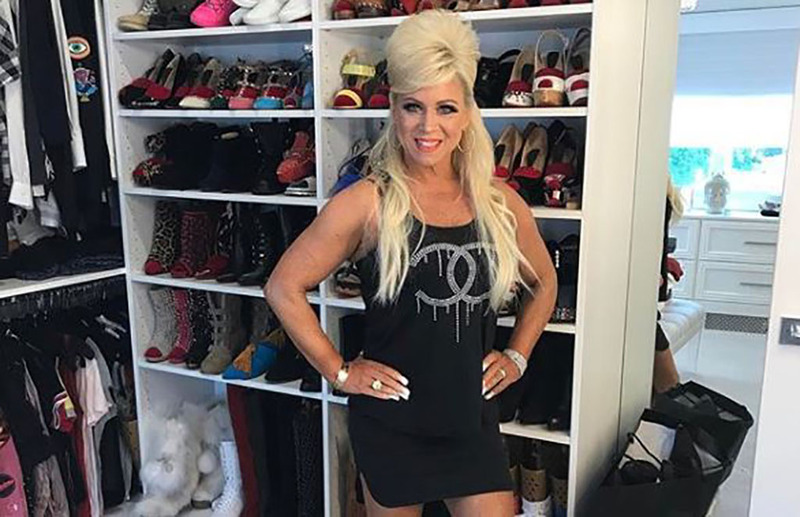 During a 2013 episode of Long Island Medium, Theresa confronted Larry after she had a premonition that Larry had been cheating on her with another woman. She warned him that he was in “big trouble” when he got home, but he wasn’t worried. He told her that he too had a dream the night before that a woman was coming onto him yet denied that anything actually happened between him and another woman. He argued saying that he only had eyes for her. Still, she told him that he either had to go to couples therapy or dance lessons or their marriage was over. He chose dance lessons. Theresa’s anxiety prevents her from socializing and even leaving the house at times. She claims that her anxiety is a result from not understanding that she could speak to the dead until she finally did. However, her anxiety was putting a heavy burden on Larry who struggled with her issues as well. Since 2018, Larry has been dating and has been seen with a woman by the name of Connie Stauddy. Apparently, TMZ reports that Stauddy and Larry met online when she reached out in hopes of getting a reading from Theresa. The two stayed in touch and are now dating as Stauddy is going through a divorce as well. She wasn’t shy about showing her emotions to her fans either. She admitted “Am I nervous? Am I scared? Absolutely. So now this next step, I don’t know what that’s going to be, but things just aren’t the same.” She says she’s been taking the divorce one day at a time. Keep going to learn the untold truth of Theresa Caputo! If you watch Long Island Medium, Theresa’s ability to communicate with the dead may appear real, but according to RadarOnline, it’s not. A widowed woman who reached out to Theresa for a reading opened up saying that she relies on the help of her production team to help her get things right. While promoting his new show, Criss Angel BeLIEve, Angel called out Theresa and her ability as a medium. With the word “LIE” in the title, the goal of his show is to debunk all kinds of lies, and Theresa was at the top of his list. In 2013, he challenged her to prove her abilities offering her $2 million to do so. While she has plenty of non-believers, in 2014, she was investigated after whistleblower Ron Tebo claimed that she is a total fake. He claimed that “Theresa is like a vulture preying on the most vulnerable […] I think it’s despicable.” He spent a year interviewing people and concluded that she simply reads body language, makes high-probability guesses, and uses a team to research her audience. As it turns out, even the people from her hometown are suspicious of her abilities. Jaime Franchi from Long Island was once a believer but is now a complete skeptic after attending Theresa Caputo Live! The Experience. Franchi explains, “I wasn’t buying any of it. She was asking specific questions that, when they weren’t met with nods of agreement, became described as mere symbols of other, more general things.” If she appears to hit a wall or say something wrong she’s quick to turn it around or move onto someone else. In her book, Good Grief: Heal Your Soul, Honor Your Loved Ones, and Learn to Live Again, Theresa explains what the afterlife is like. She says that it’s the perfect place for people to meet dead celebrities. On one occasion, she said her phone randomly began playing some “crazy rap song,” which she took as a message from her grandmother. Throughout her years as a medium, Theresa managed to acquire a list of celebrities that do not like her. One of these people is Andy Cohen, who writes in his memoir that she is nothing but a sham. He writes that their first encounter was when she appeared on his show Watch What Happens, Live and was unable to reach his best friend after the show. Her manager called the next day and asked if she could have another chance which he declined. Theresa actually believes that everyone has the ability to speak with departed loved ones. She says that spirits are like energy and can move around and affect things. She claims that spirits can make lights flicker, move things around, and even do things like changing the volume on the television. Back in 2017, a “solid nodule” was found in her breast during her routine mammography, leading Theresa to believe that she might have cancer. She was scheduled for a biopsy and was extremely anxious about the possible results and how it could change her life forever. Luckily for Theresa, the results came back negative and the nodule was completely benign. What was even more concerning was that her grandmother was diagnosed with cancer in her early ’50s. This has led her to be extra careful when it comes to her health.